*The Rushes* is truly one of the Midwest's premiere vacation destinations. 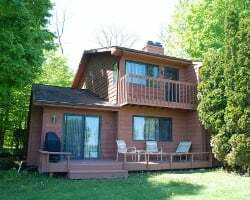 Located on Kangaroo Lake in beautiful Door County, the Rushes is open year round to provide the perfect vacation experience, whether you're looking for family adventure or a romantic getaway! Annual usage in week 16! Enjoy wonderful family vacations right on the lake! Make this your new home away from home! Inquire today!